Gold value and value of the U.S dollar continue to move as we enter March. However, only one is moving in the right direction. The U.S. dollar is seeing it’s most significant increase since 2017’s third quarter. Along with the steady climb of the dollar, gold value has also gone steadily. However, it has been in the opposite direction. 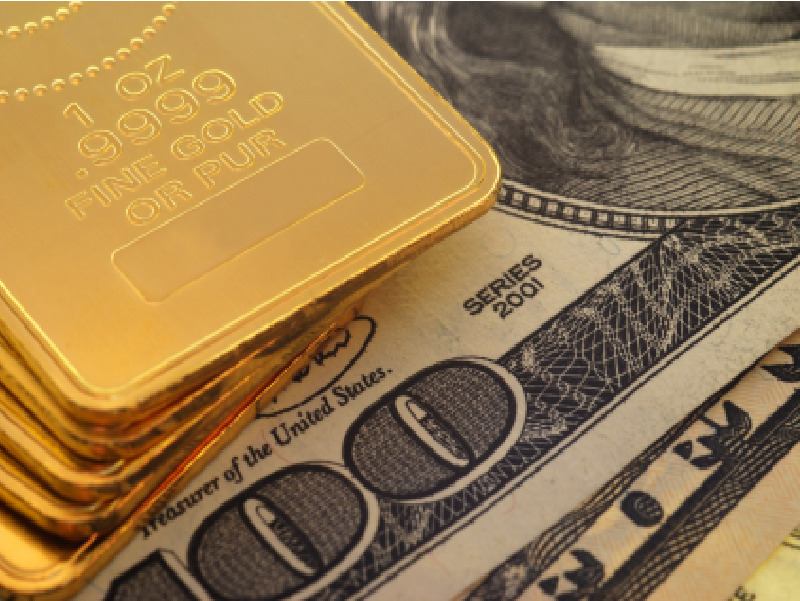 As of the morning of March 1st, gold futures for April was trading at $1,310 per ounce, down 0.60 percent. The dollar, however, came in at 90.87 points at that time, up .24% on the day. One reason for the rise in the value of the U.S. dollar is a potential rise in interest. Traders and investors believe the Federal Reserve could increase interest rates four times this year. A fourth hike is still unlikely, though. Some analysts give it about a one-in-four chance of happening. Still, the opportunity for another increase has investors interested. As for gold, there is concern that gold could drop below 1,300 soon. The 1,300 mark for gold is considered critical support. If people don’t start buying into the valuable metal soon, the market could continue to hit new lows for the year. Some estimate the price could drop to 1287. Other precious metals are having a tough time, too. As of noon on March 1st, gold, silver, platinum, and palladium were all down for the day. Gold was down 7.4 to 1310.4. Silver stood at 16.34, down .05. Platinum sat at 957.00, a loss of 24.00 and palladium was down 56.00 to 976.00. The 1310 mark for gold value is a two-month low. The surge of the dollar may not be entirely responsible but has undoubtedly played a part. Unless something changes, the pressure will continue to be on for all precious metals.